In this fifth week of the federal election campaign in Canada, this article intends to look at some of the dilemmas of the Quebec fact in Canadian politics. Quebec has often been seen as the Achilles' heel of the Conservative Party in Canada, and may prove so again in this election. It may be possible that the Conservative Party could win enough seats outside Quebec to form the government with the support of the Bloc Quebecois, if the BQ does especially well (for example, winning 50 of the 75 seats available in Quebec) -- but probably neither side would be willing to rush into such a coalition. It is one of the ironies of Canadian federal politics that the conservatisms of English Canada and Quebec have, after 1896, largely worked against each other, inducing a "progressive" drive in both parts of the country. After 1896, the French-Canadians have mostly supported the Liberal Party at the federal level. As Peter Brimelow has pointed out in The Patriot Game (Toronto: Key Porter, 1986), the success of the federal Liberal Party in the Twentieth Century has been historically based on a combination of rock-solid support from Quebec (usually winning virtually every seat in Quebec), and a minority of seats in English Canada. This dynamic was especially well understood by Pierre Elliott Trudeau, Canada's Liberal Prime Minister from 1968-1984 (except for nine months in 1979-1980). The first stage in the "Trudeau revolution" was arguably the so-called Quiet Revolution in the early 1960s in Quebec, which vastly reduced the long hold of the Roman Catholic Church on the populace of the province. This virtually guaranteed that Quebec would continue to vote for the Liberal Party at the federal level, at a time when it was possible that conflicts might have arisen between the deep-rooted social conservatism of Quebec, and the province's desire to continue voting for the Liberals. Indeed, under the earlier, long-serving Premier of Quebec, Maurice Duplessis, who gave Quebec its current distinctive flag, the Union Nationale had rallied to vote in two federal elections for the staunch Conservative John Diefenbaker. However, in the early 1960s, with the failure to find a replacement for the deceased Duplessis, and the death in a car accident of one of its most promising young leaders -- who might have eventually become the leader of the federal Conservative Party -- the Union Nationale essentially disintegrated. John Diefenbaker had also been extremely incompetent in regard to working with the large Quebec contingent which had been elected in 1958. (In the federal election of 1958, Diefenbaker had won one of the largest parliamentary majorities in Canadian history.) The failure by the Conservative Party to reach out to Quebec at that time was a tremendous lost opportunity. With the continued assurance of federal Liberal supremacy in Quebec, Trudeau obtained a very strong regional base for his endeavours. Indeed, Trudeau won the majority of seats in English Canada only in the 1968 election, when "Trudeaumania" swept the country. Nevertheless, Trudeau remained in power from 1968-1984 (except for nine months in 1979-1980). He realized that in the Canadian system as it existed at that time, a Prime Minister who continued to win majority governments could do virtually anything he wanted. Trudeau was also assisted by the New Democratic Party (Canada's extremely ideologically-energetic social democrats) -- a party to which he himself had earlier belonged. Trudeau was extremely conscious of using all the instruments and powers at the disposal of the government and the state to strongly shape society. In Quebec itself, Trudeau battled against the separatist Parti Quebecois, which had arisen as a new focus for Quebec aspirations. In October 1970, Trudeau had declared martial law -- the War Measures Act -- against a radical, violent separatist faction, the FLQ -- who had kidnapped and murdered a Minister of the Liberal government of Quebec. The mainline separatists strongly disassociated themselves from the FLQ. In 1980, the Parti Quebecois (under the leadership of Premier Rene Levesque) -- which had initially come to power in the province in 1976 -- held a referendum on "sovereignty-association" -- which was defeated by a ratio of about 60-40. In 1982, Trudeau brought the Charter of Rights and Freedoms into the Canadian Constitution, which was opposed by Rene Levesque and the PQ -- who saw it as diluting Quebec's "collective rights." The Charter of Rights and Freedoms essentially enshrined nearly all of Trudeau's agenda -- bilingualism, multiculturalism, feminism, affirmative-action policies (called employment equity in Canada), transfer payments from richer to poorer provinces, and so forth -- as the highest law of the land. Having achieved the capstone of his career, Trudeau retired in 1984, and John Turner became Prime Minister ahead of the upcoming election. In 1984, many Quebecois nationalists, disgusted with Trudeau, aligned themselves with the Progressive Conservative party of Brian Mulroney, who was himself a fluently bilingual Quebecker. (The Conservative Party had been formally renamed "Progressive Conservative" in 1942, but had been home to a broad variety of factions.) Mulroney won one of the largest federal parliamentary majorities in Canadian history. However, in the aftermath of sixteen years of Trudeau, enormous drive and energy would have been required to initiate a process of recovery from the "Trudeau revolution." 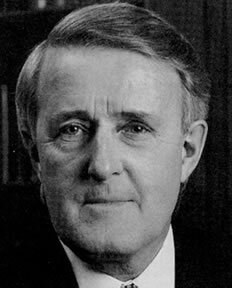 Though he had allowed the aura of a right-winger to settle on him in 1983-1984, Mulroney was himself driven by liberal sentiments, and -- once in power -- he brutally kept down "small-c conservative" elements and ideas within the Progressive Conservative party in English Canada. One of the less edifying elements of the 1984 campaign was the "engineering" of the defeat of staunch "small-c conservatives" John Gamble (to whom Mulroney actually owed a huge political debt, for keeping up the opposition to Joe Clark's leadership of the Progressive Conservative Party -- Joe Clark had been forced to call a leadership convention in 1983, after receiving weak support in a leadership review vote in 1982), and well-known journalist Peter Worthington, who was levered out of a riding nomination as the P.C. candidate, thus being forced into an impossible run as an independent. Indeed, it was symptomatic that two very prominent "small-c conservatives" were shut out of this great Progressive Conservative landslide. In 1987, Mulroney reached the Meech Lake Accord with the provincial premiers. Quebec, under Liberal Premier Robert Bourassa, agreed to accede to the Charter of Rights and Freedoms, in exchange for further modifications to the Constitution, which would -- among other provisions -- recognize Quebec as a "distinct society." The Meech Lake Accord was well on its way to acceptance, but an unusual combination of Trudeau Liberals and right-wing English-Canadians disdainful of Quebec managed to torpedo the Accord in 1990, when two smaller English-Canadian provinces withheld their approval. In 1992, Mulroney tried again with the Charlottetown Agreements, which were put to a countrywide referendum. Ironically, the Quebecois nationalists rejected the Charlottetown Agreements because they felt they gave them "too little," whereas English Canada felt the agreements gave Quebec "too much." It was virtually a direct consequence of the failure of the Charlottetown Agreements that the Bloc Quebecois -- under the leadership of Lucien Bouchard, Mulroney's former Quebec lieutenant -- arose to contest the federal election of 1993 (running candidates only in Quebec), and the Parti Quebecois won the Quebec provincial election of 1994. Jacques Parizeau's Parti Québécois won the September 1994 provincial election with about two-thirds of the seats (but with only a fraction more of the popular vote, with the "first-past-the-post" system of geographically-based ridings). In 1995, there was the second referendum on Quebec sovereignty, which failed by a razor-thin margin. Jacques Parizeau's bitter concession speech, blaming the defeat on "money and the ethnic vote" was slapped down -- even by prominent members of his own party -- as virtually symptomatic of "Nazism" -- and he was forced to resign from the PQ leadership. The Bloc Quebecois won 54 seats in the federal election of 1993, thus becoming the Official Opposition (the second-largest party) in the federal Parliament. Preston Manning's Reform Party won 52 seats, whereas the Progressive Conservatives (under the leadership of Kim Campbell) were reduced to 2 (two) seats! In the 1997 federal election, the BQ won 44 seats, but the Reform Party became the Official Opposition, with 60 seats. In the 2000 federal election, the BQ won 38 seats, with the Canadian Alliance (which had emerged out of the broadening of the Reform Party) winning 66 seats. In 1998, the Parti Quebecois was re-elected with a majority of seats in Quebec -- although its popular vote total was actually slightly less than of the Quebec Liberal Party. In 2003, the Parti Quebecois government was decisively defeated by the Liberal Party in Quebec, which gave the impression that separatism was ebbing. However, the fortunes of the Bloc Quebecois have revived in time for the upcoming federal election of June 28, 2004, partly in reaction to the federal sponsorship scandal, where $250 million dollars (Canadian) went to Liberal Party cronies in Quebec. If the polls taken at the beginning of the election campaign hold up, the BQ will win around 50 seats. The rest of the seats would probably go to the Liberals. The newly reconstituted Conservative Party has a very minimal presence in Quebec. It could be argued that Quebec today is largely defined by its modern Quebecois nationalism, an outlook which mixes traditionalism and progressivism. It is especially "progressive" in its secularism, in its virtual repudiation of the Roman Catholic traditions of Quebec, which had been considered almost definitional of Quebecois identity for most of Quebec's history. The Québécois nationalists like to somewhat excessively dwell on a great number of grievances against what they ironically call "TROC" ("the rest of Canada") -- a term which apparently means "rump" in French. It could be argued that the Quebecois nationalists have re-inflamed the memory of the battle of the Plains of Abraham, and the resultant Conquest -- the conquest of French Québec by the British in 1759. For them, it is this primal wound that has haunted French-English relations in Canada. Many French-Canadians (for example in the nineteenth-century) had been confident in their identity without excessively dwelling on the Conquest. The motto of the Quebecois nationalists -- "Je me souviens" -- "I remember" -- which some of them take to mean -- "I remember all the iniquities of the English against us" -- is actually taken from a line etched on the Quebec Parliament Buildings, which reads (in French) -- "I remember that, born under the Lily, I have prospered under the Rose." As modern, progressive-minded nationalists, the Québécois intellectuals have had to find a way to repudiate much of their earlier Catholic-centred, rurally-focused history, and to simultaneously blame what is today seen as this unfortunate backwardness on the English. The artefact which fulfills this function is the idea of the so-called "roi nègre" (black king). It is assumed that first the prelates of the Roman Catholic Church, and then such figures as Duplessis (the long-serving Premier of Quebec in the 1930s to 1950s, called "le Chef", somewhat similar in style to America's Huey Long), were actually tools of the English in maintaining social control over Québec. The English were not interested in improving Québec society, as long as they had a "local chieftain" they could rely on to enforce order. The English did dominate commerce and industry in Québec up to the 1950s (in a sometimes heavy-handed fashion), largely confining French-Canadians to the rustic -- but, to some extent, many French-Canadians then preferred such a life. Nevertheless, the poverty in Quebec was often grinding, and tremendous resentment against the wealthy English commercial classes (especially in Montreal) -- who in many cases refused to learn or speak the French language out of sheer spite -- was certainly possible. For the Quebecois nationalist intellectuals, "the national question" (of the repression of French-Canadian identity in Quebec, especially in Montreal), and the social question (of the oppression of the French-Canadian working classes) were intertwined. One of the great focal events of Québec, for the Québécois nationalists, is the 1837 Rebellion of the Patriotes, led by Louis-Joseph Papineau, which was brutally suppressed by the British. Although the Rebellion actually had comparatively little support at the time, across a Church-bound Québec, it is seen as an obvious harbinger of secular nationalism. The execution of Louis Riel, the rebel leader of the French/Indian Métis in Manitoba and Saskatchewan, is seen as another atrocity. Indeed, this execution was one of the main reasons for the turning away of the French-Canadian vote from the Conservatives at the federal level, after 1896. (It is not often noted that -- during the Manitoba Rebellion -- Riel was responsible for the execution of an English-Canadian in a rather gruesome way -- which had made it extremely difficult for Canadian Prime Minister Sir John A. Macdonald to show clemency.) Salt was also rubbed into the wounds when French-language schooling in Manitoba was done away with, and failed to be enacted in other provinces with French minorities. The execution was certainly a baneful event, which turned Québec away from the once-powerful Bleus/Conservative Party in the federal election of 1896. Relying on a solid bloc of seats from Québec, and a minority of seats from English Canada, the Liberals have almost always formed the government of Canada in the Twentieth Century. While Québec remained a very conservative society until the so-called "Quiet Revolution" of the 1960s, the province generally voted Liberal federally. 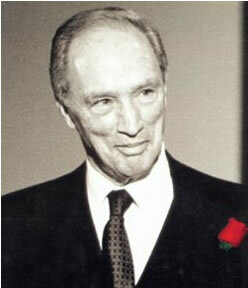 This trend was continued with its support of the chameleon-like Pierre Elliott Trudeau, first elected as Prime Minister in 1968. Many English-Canadians believed that Trudeau would "put Quebec in its place," while French-Canadians voted for him because he was seen as a "native son." Trudeau enacted the policy of coast-to-coast bilingualism (and the assault on the residues of English-Canadian traditionalist nationalism) in Canada, which was said to be the price of keeping Québec in Canada. Ironically, the Québécois nationalists cared little for bilingualism, and moved to make their province unilingually French. Trudeau's individual rights, multiculturalism, and aboriginal rights policies came to be seen as diluting and undermining the now undisputed place of French-Canadians as one of the "two founding peoples" of Canada. Indeed, in the face of the increasing presence of "hyphenated" ethnic groups in Canada, many French-Canadians have redesignated themselves as unhyphenated Quebecois. Written in 1840, Lord Durham's famous Report had accurately predicted that the future of Canada would consist of "two nations warring in the bosom of a single state." It could be argued that one of the reasons for the apparent waning of separatism is that Québec now receives substantial economic benefits for remaining in Canada, a process which has been ongoing for at least three decades. Some non-separatist nationalists may feel that the Québécois are already maîtres chez nous ("masters in our own house"), especially in terms of the now-current linguistic focus of identity (the French language). However, should the economic situation sour, and especially if Canada is challenged by a federal debt/deficit crisis, the fortunes of separatism might precipitously revive. Looking at the possible results of the upcoming election, if there is a situation where Stephen Harper's Conservative Party and the Bloc Quebecois together hold a majority of seats in the federal Parliament, it could be suggested that Harper (and his advisers) should do some hard and creative thinking. They should acknowledge the authenticity of Quebecois nationalism -- the basic historical and sociological reality of Quebec's "distinctiveness" -- while at the same time, addressing some sharp questions to it. Just what kind of "deal" would the Quebecois nationalists be envisioning? Would they be satisfied with the proposal of devolution of a large number of powers to the provincial level? Should the original European Common Market idea be adopted as a possible model for Canada-Quebec relations? (The European Common Market was initially conceived as a "union of sovereign states" rather than what it seems to be evolving into now -- one "superstate.") What kind of "joint institutions" would this Canada-Quebec association have? Would the drastic curtailment of federally-mandated bilingualism in English Canada be acceptable? Would the Quebecois nationalists be willing to categorically renounce any further attempts to break up the country, once "the deal" was in place? Some kind of accommodation between the Conservative Party and the Bloc Quebecois would be of vital, world-historical importance to the future of Canada and Quebec. It would perhaps be the first time in the history of Canada since 1896 that the basically traditionalist elements of English Canada and Quebec would be working together for the long term, not against each other. It would perhaps offer the hope of some kind of recovery from the "Trudeau revolution" -- at an extremely late point in the day. It could be argued that the profoundly traditionalist opportunities of 1958 were wasted largely because of Diefenbaker's incompetence. The opportunities of 1984 were flung away because -- despite his outstanding pragmatic political skills that ensured a huge landslide victory -- Mulroney was in his soul mostly a Trudeau Liberal. His crushing of "small-c conservatism" in the Progressive Conservative Party and in English Canada concretely meant that English-Canadian right-wingers and Western Canadians would not in most cases rally to either the Meech Lake Accord, or the Charlottetown Agreements. It was also the main reason for the arising of Western Canadian-based Reform Party in 1987 (which formally became a countrywide party in 1991). There has not been a Canadian federal government of "small-c conservative" outlooks since the early 1960s. All this overwhelming Liberal dominance has not been healthy for the Canadian polity, civic life, and civic culture. Indeed, a successful, long-term accommodation between the Conservative Party and the Bloc Quebecois would be of huge importance. Perhaps an older Brian Mulroney, who has apparently been one of the main movers behind the 2003 merger of the Progressive Conservative party and the Canadian Alliance, could actually have some role to play in this process -- something which would place his total historical record in a somewhat different light. It should be pointed out in conclusion that one of today's ironies is the fact that secularization and modernization have given Québec one of Canada's lowest birthrates and highest abortion rates -- creating a demographic crisis (and sense of psychological siege) in a society once known for its very large families, and for its "revenge of the cradle" against the English. It could be argued that Québécois nationalists will have to re-evaluate their relationships to TROC, to North American technological civilization, to their own traditionalist past, and to the rapidly-increasing Third World immigration into Québec, if they are indeed seriously interested in their survival as a nation and a people over many further centuries.